Radiometric/radionuclide dating is a topic that comes up fairly often in creationist claims, but is rarely treated with the degree of detail that the subject deserves. We often come across the claim, for example, that samples of coal and diamond show anomalously young ages, overlooking the fact that the mechanisms behind these anomalies are largely well-understood. We know that any nitrogen-rich samples in the vicinity of a source of free neutrons is likely to have elevated C14, via a well-documented process of nuclear physics. All chemical elements are defined by the number of protons in the nucleus. Nitrogen, atomic number 7, is defined by having 7 protons in its nucleus. In the case of N14, the most stable isotope of nitrogen, it has 7 protons and 7 neutrons. In the vicinity of a source of free neutrons, a neutron can knock a proton out, the neutron remaining in the nucleus, leaving 6 protons and 8 neutrons, which is, yes, you've guessed it, C14 (this is also how we get C14 in the atmosphere, as nitrogen high in the atmosphere is bombarded with neutron radiation from space). For the uninitiated and those who obtain their scientific information from creationist screeds, the number attached denotes the number of nucleons (protons and neutrons). Coming back to those anomalously young coal and diamond samples, they were all found in the vicinity of a uranium mine, a known source of neutron radiation. There are other effects that give anomalous ages, such as the reservoir effect, all assiduously documented in the literature, and wheeled out with monotonous regularity by those who haven't yet grasped that their fumblings are, to those who actually understand the science, little more than a display of argumentum ad elbow-joint-of-the-lesser-spotted-weasel-frog. I thought long and hard about how to approach the topic but, in the end, I decided that this was a topic for a guest post, simply because one of my forum friends from the now-defunct Richard Dawkins forum had already delivered a devastating hammer-blow to creationist claims on this front. I'm really pleased to say that I've been given permission to reproduce his post in its entirety. 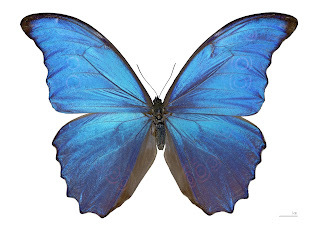 Ladles and jellyspoons, it's my privilege to introduce you to a man famed in the internet counter-apologist community, the inimitable Blue Flutterby, Calilasseia. Since one of the perennial canards that defenders of valid science have to endure on these forums, a canard that is practically a masturbatory obsession with creationists, is the "radionuclide dating is based upon assumptions" canard, I thought it apposite to produce this post, for the specific purpose of destroying this canard once and for all. This post was, needless to say, inspired by theropod's post on the rigour of the Earth sciences, and I owe him a debt for inspiring me to get off my backside and post this. Given the nature of the material being covered, this will be a long post. Consequently, it will probably be spread over more than one post. However, I promise that persevering with it will be worth the effort. In order to address this topic at the proper level of detail, something that creationists prefer to avoid at all costs, I shall first begin with a discourse on the underlying physics of radionuclide decay, the precise mathematical law that this process obeys, and how that law is derived, both empirically and theoretically. Note that the decay law was first derived empirically, courtesy of a large body of work by scientists such as Henri Becquerel, Marie Curie, Ernest Rutherford and others. Indeed, the SI unit of activity was named the Becquerel in recognition of that scientist's contribution to the early days of the study of radionuclide decay, and 1 Bq equals one transformation (decay) per second within a sample of radionuclide. However, the underlying physics had to wait until the advent of detailed and rigorous quantum theories before it could be elucidated, and is based upon the fact that the nuclei of radionuclides are in an excited state with respect to the sum total of the quantum energy states of the constituent particles (which, being fermions, obey Fermi-Dirac statistics, and consequently, Pauli's exclusion principle applies). In order for the system to move to a lower energy state, and settle upon a stable set of quantum numbers, various transformations need to take place, and these transformations result in the nucleus undergoing specific and well-defined structural changes, involving the emission of one or more particles. As well as the most familiar modes of decay, namely α decaying and β- decay, other decay modes exist, and a full treatment of the various decay modes possible, along with the underlying quantum physics, is beyond the scope of this exposition, as it requires a detailed understanding of the behaviour of the appropriate quantum operators, and as a corollary, a detailed understanding of the behaviour of Hilbert spaces, a level of knowledge that is, sadly, not widespread. With this limitation in mind, however, it is still possible to deduce a number of salient facts about radionuclide decay, which I shall now present. Initially, the determination of the decay law was performed empirically, by observing the decay of various radionuclides in the laboratory, taking measurements of the number of decay events, and plotting these graphically, with time along the x-axis, and counts along the y-axis. Upon performing this task, the data for many radionuclides is seen to lie upon a curve, and determination of the nature of that curve requires a little mathematical understanding. where C0 is derived from the y-intercept of the straight line produced by the transformed plotting, and k is the gradient of the transformed line. y = k loge(x) + C, where k is the gradient of the line, and C is the y-intercept of the straight line. y = C0xk, where k is the gradient of the straight line produced by the transformed data, and C0 is derived from the y-intercept of the straight line produced by the transformed data. where C0 and k were constants to be determined from the plot, and which were regarded as being dependent upon the particular radionuclide in question. Now, if we are start with a known amount of radionuclide, and observe it decaying, then each decay event we detect with a Geiger counter represents one nucleus undergoing the requisite decay transformation. Since the process is random, over a long period of time, decaying nuclei will emit α or β particles in all directions with equal frequency, so we don't need to surround the material with Geiger counters in order to obtain measurements allowing a good first approximation to the decay rate. Obviously if we're engaged in precise work, we do set up our experiments to do this, especially with long-lived nuclei, because the decay events for long-lived nuclei are infrequent, and we need to be able to capture as many of them as possible in order to determine the decay rate with precision. Let's assume that we're dealing with a relatively short-lived radionuclide which produces a steady stream of decay events at a reasonably fast rate, in which case we can simply point a single Geiger counter at it, and work out what proportion of these events we are actually capturing, because that proportion will be the ratio of the solid angle subtended by your Geiger counter, divided by the solid angle of an entire sphere (this latter value being 4π). When we have computed this ratio (let's call it R), which will necessarily be a number less than 1 unless we have surrounded your sample with a spherical shell of Geiger counters, we then start collecting count data, say once per second, and plotting that data. In a modern setup we'd use a computer to collect this mass of data (a facility that wasn't available to the likes of Henri Becquerel, Röntgen and the Curies when they were engaged in their work), in order to have as large a body of data as possible to work with. Before working with the raw data, we transform it by taking each of the data points and dividing it by R to obtain the true count. and then plot a graph with rk on the vertical axis, and ck on the horizontal axis. This should give a reasonable approximation to a straight line, and the slope of that straight line, obtained via regression analysis, will give the first approximation to the decay constant k. At this point, we know we are dealing with a relationship of the form dN/dt = -kN, and you can then apply the integral calculus to that equation (see below). Technically, what we are doing here is approximating the derivative by computing first differences. we can then derive the exponential form and check that it tallies with the integral calculus result. Once we have that function coupling the decay rate to time, we can then work backwards, and feed in the values of the known starting mass and the experimentally obtained decay constant k, and see if the function obtained reproduces the transformed data points. If the result agrees with observation to a very good fit, we're home and dry. where N0 is your initial amount of radionuclide, N is the amount remaining after time t, and k is the decay constant for the specific radionuclide. Now, having determined this decay law empirically, it's time to fire up some calculus, and develop a theoretical derivation of the decay law. Which I shall now proceed to do. Our limits of integration are, for the left hand integral, the initial amount at t=0, which we call N0, and the amount remaining after time t, which we call Nt. Our limits of integration for the right hand integral are t=0 and t=tp, the present time. Which allows us to move seamlessly from one system of constants (half-lives) to another (decay constants) and back again. On the left hand side, the initial amount N0, the remaining amount N and the elapsed time t are all known, therefore k can be computed using the empirically observed data. Once again, this agrees with the empirical data from which the law was derived in the earlier exposition above, and consequently, we can be confident that we have alighted upon a correct result. Once we have the decay law in place, it simply remains for appropriate values of k to be determined, which will be unique to each radionuclide. This work has been performed by scientists, and as a result of decades of intense labour in this vein in physics laboratories around the world, vast bodies of radionuclide data are now available. Now, the above exhaustively compiled data gives rise to yet more data, in the form of the tables covering the major decay series. These arise from the observation of which radionuclides decay into which other radionuclides (or in the case of certain radionuclides, which stable elements are formed after decay), and all of these decay events follow specific rules, according to whether α decay, β- decay, or one of the other possible decay modes for certain interesting radionuclides, takes place. Again, data is supplied in the above tables with respect to all of this. Now, we come to the question of how this data is pressed into service. Since the above work couples radionuclide decay to time, via a precise mathematical law, we can use this data to provide information on the age of any material that contains radionuclides. This can be performed by performing precise quantitative measurements of parent radionuclides and daughter products, all of which is well within the remit of inorganic chemists (since the chemistry of the relevant elements has been studied in detail, in some cases for over 200 years) and of course, modern gas chromatograph mass spectrometry can be brought to bear upon the process, yielding results with an accuracy that past chemists reliant upon earlier techniques could only dream of. Consequently, it is now time to cover the business of dating itself. With the data obtained above, it becomes possible to trace the decay of suitably long-lived elements in geological strata, locate specific isotopes, determine by precise quantitative analysis the amounts present in a given sample, and compare these with calculations for known decay observations in the laboratory, whence the time taken for the observed isotope composition of the sample can be determined. Given that several isotopes have extremely long half-lives, for example, U238 has a half-life of 4,500,000,000 years, and Th232 has a half-life of 14,050,000,000 years, and several of the daughter isotopes also have usefully long half-lives, one can determine the age of a rock sample, where multiple isotopes are present, by relating them to the correct decay series and utilising the observed empirically determined half-lives of laboratory samples to determine the age of a particular rock sample, cross correlating using multiple isotopes where these are present and enable such cross correlation to be performed. Thus, errors can be eliminated in age determinations by the use of multiple decay series and the presence of multiple long-lived isotopes - any errors arising in one series will yield a figure different from that in another series, and the calculations can thus be cross-checked to ensure that they are consilient. The reason I have chosen these isotopes is very simple. Namely, that they would all be present in measurable quantities in the Earth's crust, and detectable by modern mass spectrometry among other techniques, if the planet was, say, only 6,000 years old, as various enthusiasts for mythology continue to assert. This is because because the half-lives of all these radionuclides are a good deal longer than 6,000 years. So, what do we find when we search for these isotopes in Earth rocks? NONE of them are present in measurable quantities. Sn126, being absent, must have disappeared over a period of 20 half lives = 20 × 100,000 years = 2,000,000 years. Therefore the Earth must be at least 2,000,000 years old for all the Sn126 to have disappeared. Ca41, being absent, must have disappeared over a period of 20 half lives = 20 × 103,000 years = 2,060,000 years. Therefore the Earth must be at least 2,060,000 years old for all the Ca41 to have disappeared. Np236, being absent, must have disappeared over a period of 20 half lives = 20 × 154,000 years = 3,080,000 years. Therefore the Earth must be at least 3,080,000 years old for all the Np236 to have disappeared. Re186m, being absent, must have disappeared over a period of 20 half lives = 20 × 200,000 years = 4,000,000 years. Therefore the Earth must be at least 4,000,000 years old for all the Re186m to have disappeared. Tc99, being absent, must have disappeared over a period of 20 half lives = 20 × 211,000 years = 4,220,000 years. Therefore the Earth must be at least 4,220,000 years old for all the Tc99 to have disappeared. Kr81, being absent, must have disappeared over a period of 20 half lives = 20 × 213,000 years = 4,260,000 years. Therefore the Earth must be at least 4,260,000 years old for all the Kr81 to have disappeared. Cl36, being absent, must have disappeared over a period of 20 half lives = 20 × 301,000 years = 6,020,000 years. Therefore the Earth must be at least 6,020,000 years old for all the Cl36 to have disappeared. Cm248, being absent, must have disappeared over a period of 20 half lives = 20 × 340,000 years = 6,800,000 years. Therefore the Earth must be at least 6,800,000 years old for all the Cm248 to have disappeared. Bi208, being absent, must have disappeared over a period of 20 half lives = 20 × 368,000 years = 7,360,000 years. Therefore the Earth must be at least 7,360,000 years old for all the Bi208 to have disappeared. Pu242, being absent, must have disappeared over a period of 20 half lives = 20 × 373,000 years = 7,460,000 years. Therefore the Earth must be at least 7,460,000 years old for all the Pu242 to have disappeared. Al26, being absent, must have disappeared over a period of 20 half lives = 20 × 740,000 years = 14,800,000 years. Therefore the Earth must be at least 14,800,000 years old for all the Al26 to have disappeared. Fe60, being absent, must have disappeared over a period of 20 half lives = 20 × 1,500,000 years = 30,000,000 years. Therefore the Earth must be at least 30,000,000 years old for all the Fe60 to have disappeared. Zr93, being absent, must have disappeared over a period of 20 half lives = 20 × 1,530,000 years = 30,600,000 years. Therefore the Earth must be at least 30,600,000 years old for all the Zr93 to have disappeared. Gd150, being absent, must have disappeared over a period of 20 half lives = 20 × 1,790,000 years = 35,800,000 years. Therefore the Earth must be at least 35,800,000 years old for all the Gd150 to have disappeared. Np237, being absent, must have disappeared over a period of 20 half lives = 20 × 2,140,000 years = 42,400,000 years. Therefore the Earth must be at least 42,400,000 years old for all the Np237 to have disappeared. Cs135, being absent, must have disappeared over a period of 20 half lives = 20 × 2,300,000 years = 46,000,000 years. Therefore the Earth must be at least 46,000,000 years old for all the Cs135 to have disappeared. Tc97, being absent, must have disappeared over a period of 20 half lives = 20 × 2,600,000 years = 52,000,000 years. Therefore the Earth must be at least 52,000,000 years old for all the Tc97 to have disappeared. Dy154, being absent, must have disappeared over a period of 20 half lives = 20 × 3,000,000 years = 60,000,000 years. Therefore the Earth must be at least 60,000,000 years old for all the Dy154 to have disappeared. Bi210m, being absent, must have disappeared over a period of 20 half lives = 20 × 3,040,000 years = 60,800,000 years. Therefore the Earth must be at least 60,800,000 years old for all the Bi210m to have disappeared. Mn53, being absent, must have disappeared over a period of 20 half lives = 20 × 3,740,000 years = 74,800,000 years. Therefore the Earth must be at least 74,800,000 years old for all the Mn53 to have disappeared. Tc98, being absent, must have disappeared over a period of 20 half lives = 20 × 4,200,000 years = 84,000,000 years. Therefore the Earth must be at least 84,000,000 years old for all the Tc98 to have disappeared. Pd107, being absent, must have disappeared over a period of 20 half lives = 20 × 6,500,000 years = 130,000,000 years. Therefore the Earth must be at least 130,000,000 years old for all the Pd107 to have disappeared. Hf182, being absent, must have disappeared over a period of 20 half lives = 20 × 9,000,000 years = 180,000,000 years. Therefore the Earth must be at least 180,000,000 years old for all the Hf182 to have disappeared. Pb205, being absent, must have disappeared over a period of 20 half lives = 20 × 15,200,000 years = 304,000,000 years. Therefore the Earth must be at least 304,000,000 years old for all the Pb205 to have disappeared. Cm247, being absent, must have disappeared over a period of 20 half lives = 20 × 15,600,000 years = 312,000,000 years. Therefore the Earth must be at least 312,000,000 years old for all the Cm247 to have disappeared. I129, being absent, must have disappeared over a period of 20 half lives = 20 × 15,700,000 years = 314,000,000 years. Therefore the Earth must be at least 314,000,000 years old for all the I129 to have disappeared. Nb92, being absent, must have disappeared over a period of 20 half lives = 20 × 34,700,000 years = 694,000,000 years. Therefore the Earth must be at least 694,000,000 years old for all the Nb92 to have disappeared. Pu244, being absent, must have disappeared over a period of 20 half lives = 20 × 81,700,000 years = 1,634,000,000 years. Therefore the Earth must be at least 1,634,000,000 years old for all the Pu244 to have disappeared. Sm146, being absent, must have disappeared over a period of 20 half lives = 20 × 103,000,000 years = 2,060,000,000 years. Therefore the Earth must be at least 2,060,000,000 years old for all the Sm146 to have disappeared. This is an inescapable conclusion from observational reality, given that these isotopes are not found in measurable quantities in the Earth and would be found in measurable quantities if the Earth was only 6,000 years old, indeed, hardly any of the Sm146 would have disappeared in just 6,000 years, and it would form a significant measurable percentage of the naturally occurring Samarium that is present in crustal rocks. The fact that NO Sm146 is found places a minimum limit on the age of the earth of 2,060,000,000 years - over two billion years - and of course, dating using other isotopes with longer half lives that can be measured precisely has established that the age of the Earth is approximately 4.5 billion years. Now since the decay of these isotopes obeys a precise mathematical law as derived above, and this law has been established through decades of observation of material of known starting composition originating from nuclear reactors specifically for the purpose of determining precise half-lives, which is one of the tasks that the UK National Physical Laboratory (whose data I cited above) performs on a continuous basis in order to maintain scientific databases, the provenance of all of this is beyond question. The tables I have linked to above are the result of something like half a century of continuous work establishing half-lives for hundreds upon hundreds of radionuclides, and not ONE of them has EVER been observed to violate that precise mathematical law which I opened this post with under the kind of conditions in which those materials would exist on Earth if they were present. The majority of those isotopes are nowadays ONLY obtained by synthesis within nuclear reactors, and observation of known samples of these materials confirms again and again that not only does the precise mathematical law governing radionuclide decay apply universally to all of these isotopes, but that the half-lives obtained are valid as a consequence. The laws of nuclear physics would have to be rewritten wholesale for any other scenario to be even remotely valid, and that rewriting of the laws of nuclear physics would impact upon the very existence of stable isotopes including stable isotopes of the elements that make up each and every one of us, none of which would exist if the various wacky scenarios vomited forth on creationist websites to try and escape this were ever a reality. Even in the very early days of the development of radionuclide dating techniques, scientists were aware that chemical elements in rock samples might be subject to various chemical processes resulting in the transport of material in or out of a given rock sample. After all, inorganic chemists had been performing detailed investigations of the aqueous chemistry of geologically significant elements for the best part of a century before the development of radionuclide dating. Scientists interested in utilising radionuclides for dating purposes, therefore had a vast body of knowledge from inorganic chemistry to draw upon, in order to determine whether or not transport was likely to take place in a given rock stratum, and given the known behaviour of the relevant elements and their various salts in aqueous conditions, they were able to devise means of testing whether transport was likely to be a significant factor in a given rock stratum of interest. Which they promptly set about doing. For example, a geologist can reasonably conclude that virtually zero transport has taken place in a sample where the radionuclides are found as sulphide salts, because the only sulphides that are soluble in water are those of the alkali metals - ALL other sulphides are insoluble, with solubility constants that are extremely low. Lead (II) sulphide, for example (known geologically as the mineral galena), has a Ksp of 3.4 × 10-28, mercury (II) sulphide (cinnabar) has a Ksp of around 4 × 10-53, and silver sulphide (acanthite or argentite) has a Ksp of 1.6 × 10-49. Indeed, thanks to the large body of knowledge bestowed upon geologist by inorganic chemists, all manner of tests can be performed in order to determine if transport is likely to be a problem before a sample is submitted for dating analysis, so that this can be taken into account and proper corrections applied to the material in question. Indeed, scientists have spent time devising a technique, known as isochron dating, whose purpose is specifically that of checking whether the isotopes used for dating have been subject to transport, and developing appropriate corrections to the dates that would have been obtained without such checking. This technique takes advantage of the fact that many radionuclides produce a stable decay product that is isotopically different from a typical sample of the daughter element arising non-radiogenically, and appropriate comparisons of the amounts of non-radiogenic daughter element with that of the radiogenic daughter element can be used to determine if transport took place. Let's see how isochron dating works, shall we? When an igneous stratum is formed (and dating techniques tend to focus upon igneous strata, because the deep mantle of the Earth is the primary source of the radionuclides required), molten material solidifies, and as it does so, the chemical compounds of various elements crystallise out of the melt differentially, resulting in the formation of well-defined mineral species. Moreover, some melts possess a greater chemical affinity for some elements than others, and consequently, there will be further differentiation, based upon those chemical affinities. Zircons, for example, have a chemical affinity for uranium, and incorporate uranium salts into their crystals far more readily than, say, lead salts. Likewise, some other crystalline formations will incorporate other elements preferentially, including elements that are of utility value in dating. A typical element that is of use is rubidium, with the Rb87 isotope having a half-life of 4.75 × 1010 years. This decays via β- decay into Sr87, an isotope of strontium, and this decay product is stable. However, a non-radiogenic isotope of strontium, namely Sr86, also exists in geological strata. The utility of this will become apparent shortly. Now, any melt starting off with a quantity of Rb87 will, after sufficient time has elapsed, start to acquire quantities of Sr87. This will take time, given the long half-life of Rb87, and indeed, detectable quantities of Sr87 amenable to mass spectrometry will only start to appear after 0.001 half-lives have elapsed. In the case of Rb87, this is 45 million years, so a sample that has an Rb87 age that is indistinguishable from zero could be as much as 40 million years old, which means that this is no indication of an allegedly "young" Earth. The moment any detectable traces of Sr87 appear in a sample, however, then we're dealing with a rock that is at least 45 million years old, which flushes blind assertions about the Earth being only 6,000 years old down the toilet to begin with. But, this isn't the point: the point is, that any mineral that acquires quantities of strontium upon formation will acquire a specific ratio of the two isotopes Sr86 and Sr87, and that ratio can be used to determine the initial amount of Rb87 that was acquired during formation as well. Which means that no "assumptions" about initial material present are needed. Now, the global composition of the melt, from which the stratum eventually forms, will have a given point value on this plot. As the melt cools, and minerals crystallise out, different minerals will migrate along a straight line in this plot, as all the minerals will inherit the same value of y (= D2/D1), but inherit different values of x (=P/D1). The result will be, at zero age, a horizontal line connecting the points for those minerals in the plot. Now, as the Rb87 decays in each mineral, it will produce Sr87. Therefore, over geological time, the data points will move upwards and to the left. Now, because decay occurs in a proportional manner, courtesy of the decay law derived above, when 20% of the Rb87 has decayed in one mineral, then 20% of the Rb87 will have decayed in all the minerals present in the stratum. This means that all the points will move upwards and to the left of the plot. This means that those points corresponding to the minerals with the greatest initial Rb87 concentration will move the farthest, and the movement will be such that all of the points will remain on a straight line. Indeed, those familiar with Monte Carlo simulation methods can produce a computer simulation that reproduces this exact result. As a consequence, any stratum containing the appropriate minerals will yield, for a given age, a line of points whose slope increases with time, and the slope of that line can be used to determine the age of the sample. Note that we don't need to know the initial amounts of any of the elements present in the sample in order for this to work. All we need to know is the present-day ratios of those elements. And, from that data, we can reconstruct the original composition of the melt. Now, here is the fun part. If the sample suffered any transport, then this will become immediately apparent because the points will deviate significantly from a straight line plot. This is because the minerals containing the various elements will undergo transport differentially. For example, if the minerals lost Rb87 due to various processes of aqueous chemistry, then this would shift all of the points to the left, but because different minerals are involved in the process, each with a different chemistry, and a different response to the aqueous processes that could remove Rb87 from them, the amount of x-shift will be different for each mineral, and as a consequence, straight line correlation will be destroyed. Immediately scientists see this, they know that something unusual has happened to the sample after formation, and that dates obtained from it are unlikely to be reliable. Indeed, if the Earth were only 6,000 years old, not only would ALL isochron plots involving minerals with long half-lives be flat, horizontal lines, but random loss or gain of the parent nuclide would not affect those results. If the Earth were only 6,000 years old, any "contamination" that creationists assert would be present that would render radionuclide dating methods invalid, would not even be noticeable on a purported "young Earth". Contamination would only ever be noticeable if the Earth was old. Which means that far from "invalidating" radionuclide dating, detectable contamination in a sample via the isochron method actually reinforces an old age for the Earth. Worse still, from the creationist standpoint, the known possibilities for systematic alteration of an isochron plot, that results in modification of the data points such that they remain collinear, result in an underestimate of the age of the sample - in other words, the isochron plot records them as being younger than they actually are, not older. Complete homogenisation of the stratum with respect to the content of Sr87 will reset the isochron 'clock' to zero, and partial homogenisation will result in a line of lower slope than previously, causing the technique to underestimate the true age. the slope of the line is equal to ΔP/(P - ΔP), where ΔP is the amount of Rb87 lost to decay, and thus allows us to determine the age of the sample, given the known half-life of Rb87 (we can back-calculate using the decay law to determine what value of P was initially present to produce the observed result). There is a body of technical literature on the subject of isochron dating, and, needless to say, it requires a fair amount of work to plough through, but for those who have acquired the relevant scientific and mathematical background, it is well worth exerting this effort, not least in order to prepare oneself for the inevitable quote mining of the scientific papers that will arise in creationist circles. The conditions required to produce this mechanism in Re187 atoms on Earth are physically unreal. What the relevant scientists did, was to take Re187 atoms, and subject them to ever more extreme levels of ionisation. In order to do this, they had to resort to a particle accelerator, and use large amounts of energy to ionise the Re187 atoms to the required amount. As any student of basic physical chemistry understands, it takes a certain amount of energy to remove one electron from a neutral atom, but, once that electron is removed, it requires more energy to remove a second electron, because that electron is now being removed from a positively charged ion, and more energy is needed to overcome the additional electrostatic attraction now present. Consequently, as one removes yet more electrons, more energy is needed for each subsequent electron. In order to speed up the decay process of Re187, scientists stripped all of the electrons from the Re187 atoms, making them extremely highly ionised. Extreme states of ionisation of this sort only occur in nature within the confines of extremely hot incandescent plasmas, with temperatures well beyond that required to turn elements such as rhenium into gases, and rhenium has the highest boiling point of all the elements, at a whopping 5,600°C (courtesy of Kaye & Laby again). Even this temperature isn't enough to strip 75 electrons off a rhenium atom, and the temperature required is more likely to be of the order of 65,000 Kelvins or beyond, which means that trying to invoke this mechanism as a means of "accelerating" nuclear decay involves heating the Earth's crust to temperatures more normally associated with the chromospheres of supergiant O class stars. Apart from the fact that this mechanism requires ludicrously absurd conditions to have occurred in the Earth's crust in order for it to happen, and apart from the fact that this mechanism is useless for U238 and several other important isotopes used in radionuclide dating, because they do not decay via electron capture, it's actually a waste of time trying to argue against the constancy of the decay law under normal conditions, because this one exception requires such extreme conditions that the Earth would not have remained a solid planet if they had been present. Plus, the mere fact that the half-life for Re187 is of the order of 4.16 × 1010 years, means that the presence of any detectable Re187 in the Earth's crust means that the planet is ancient. If by some bizarre freak of physics, Re187 decay had been sped up by this mechanism without vaporising the Earth's crust, the anomaly would have been so immediately detectable alongside the other radionuclides, that scientists would have noticed something was amiss long ago. That word 'consilience' is back to haunt those who prefer mythology to reality. I think this covers relevant bases for now. For anybody interested in reading more of Calilasseia's excellent writings, he can be found at Rational Skepticism where you can find excellent expositions on a range of topics, as well as many contributions by other science professionals. If any creationists are going there, I'd recommend starting with THIS POST.